Governor Baxter’s Bindle resolves the myth. The bindle is a real bag and if anyone tells you otherwise you can smack them with a three foot length of Maine maple. No one in their right mind makes fun of an approaching bindle-packer. They typically do it behind your back and at a safe distance. Our bindle staff is not a walking stick. It belongs on your shoulder and poised at a purposeful angle. The bindle sack can be rapidly disengaged from the bindle staff. Then you can make your point, whatever that may be. In the event of treacherous terrain use it for stability. Don’t risk your hand on that closing elevator door— stick your bindle in it. Totally appropriate for a stroll down some railroad tracks. Summarize your position to family members with this choice of bag when you exit the premises. They’ll know where you are coming from.. but they won’t know where you’re going to. 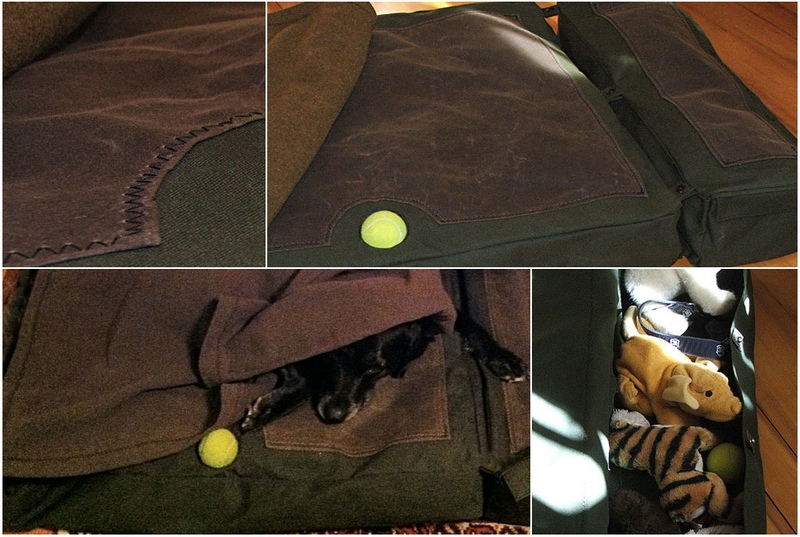 Mackworth now in Three Sizes: Pug, Mutt & Cujo! 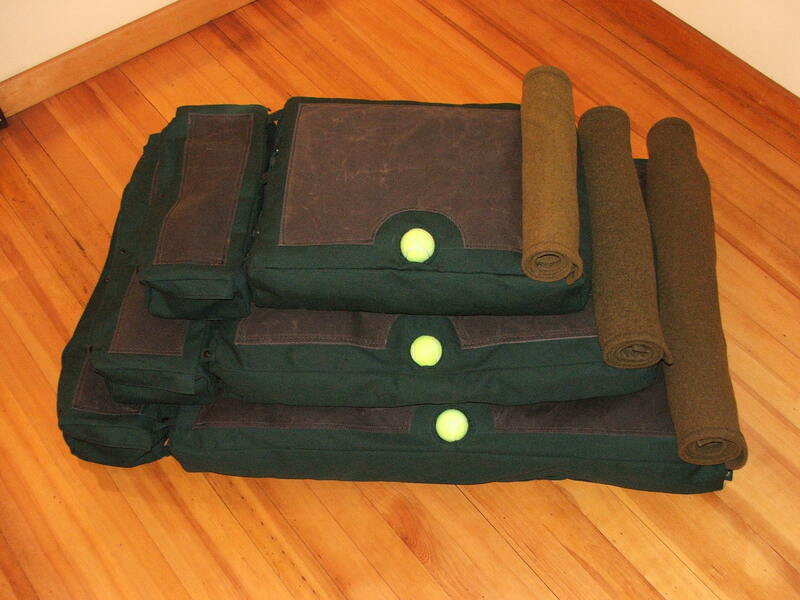 Thanks to our customers we now offer larger and smaller Mackworth dog beds. We also offer kapok fill as an alternative to the raw wool. Kapok is cool! Super lightweight, water resistant, all natural, sustainable and even vegan approved! 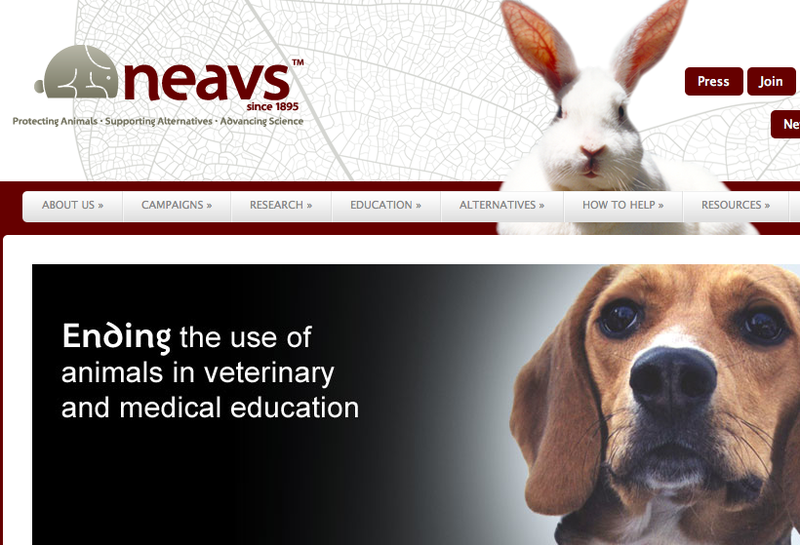 We just donated 10% of our gross sales for 2013 to the New England Anti-Vivisection Society. We will contribute more next year! You can show your support on their website here. 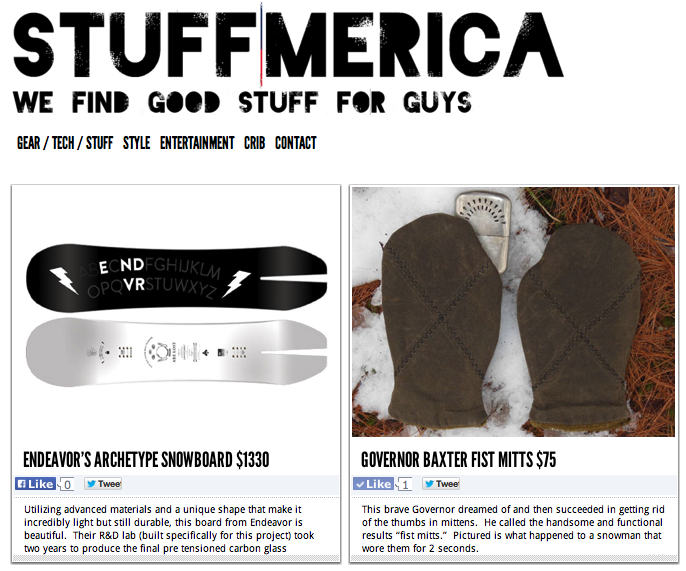 The Governor is in Gear Patrol! Make sure to check out the full review here.